Short for accumulator insurance, an offer by a bookmaker to refund your stake if you win all but one of the wagers in an accumulator that includes a minimum number of selections - typically either five or six. In some cases, the stake is refunded in the form of a free bet. Also known as a parlay or all up bet, an accumulator is a series of wagers on the outcomes of multiple events. If an initial wager is won, the stake and winnings are placed on the next wager in the series. If any of the wagers is lost, the entire bet is lost. A bet on which the whole bank is staked. Horse racing that occurs on an artificial surface - such as a polytrack or fibresand surface - and that as a result, can continue in all weather. A condition that horses must meet to be eligible to run a particular race. Also see allowance race. In the UK, a category of race that ranks higher than a maiden race but lower than a stakes race. Typically conditions are set on which horses may run this race type. For example, the condition may be non-winner of three lifetime, meaning that the horses haven't won more than three races. An alphabet bet is a wager on six selections, named after the alphabet because it includes 26 bets. A payout is generated if any of the selections wins. Abbreviated as AE, a term used in horse racing to describe horses that may enter a race if there's a scratch (cancellation). An antepost bet is a bet made before the day on which an event is held. Abbreviated as ATC, an any to come bet is a bet on two selections that includes a condition. If part of the wager yields a sufficient return, an agreed amount is wagered on one or more other selections. In horse racing, a jockey who has been riding for less than a year or who has won fewer than 45 races. Jockeys in this category are typically allowed to carry less weight than more experienced jockeys. On a racecourse, the area between the grandstand and the track. A slang term for an arbitrageur - someone who uses the strategy of arbitrage, which involves backing all possible outcomes of an event in a way that exploits differences in bookmakers' odds to guarantee a risk-free return. Arbitrage is backing all possible outcomes of an event in a way that exploits differences in bookmakers' odds, to guarantee a risk-free return irrespective of the actual outcome. A type of football handicap betting market originating in Asia. Teams are handicapped with goal deductions according to form. This requires them to not just win, but score more than a specified number of goals for the bet to pay out. In horse racing, a phrase meaning that all horses are secure at the starting gate and ready for a race to start. Abbreviation for all weather. It's used to identify horse races that will be run in any weather, usually because they're run on an artificial surface, such as a polytrack or fibresand surface. In horse racing, a two-year-old horse; also known as a juvenile. A horse race for two-year-old horses. It's usually run over a short distance in spring or summer. At a racecourse, the straightaway alongside the homestretch. Typically it runs from the three-quarter-mile pole to the three-eighths pole. A horse that's too inexperienced or unfit to perform at its best. A bet that's considered a near-certain winner. Also referred to as the bar price, the shortest, or lowest, odds of entries not included in a betting forecast. For example, a bar of 20/1 specifies that all contenders not listed in the forecast have odds of 20/1 or greater. A tan to auburn-coloured horse with a black mane and tail. A slang term for a person who places a bet on behalf of someone else in order to hide the real bettor's identity. A UK slang term for betting tax. The betting market that provides the lowest over-round or book percentage figure, and so provides the best margin for punters. Best odds guaranteed doesn’t mean that a bookmaker guarantees to give you better odds than you might get elsewhere. It means that the bookmaker guarantees to pay out winning bets at the SP if this is higher than the price you took when you placed your bet. Risking a sum of money on the outcome of a future event in the hope of having the sum returned with a profit. An online tool for calculating the returns on specific bets. 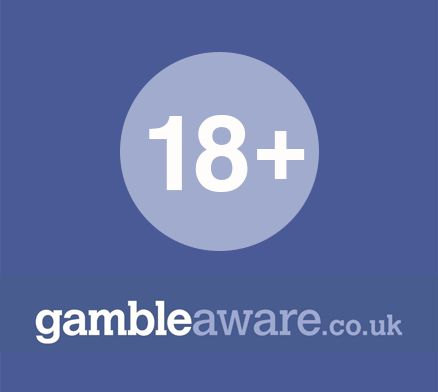 The largest betting exchange in the world, currently licensed and registered in Gibraltar. Funds available, or set aside, for betting. A betting dispute is any disagreement over a bet, how it was placed, its outcome or its financial settlement. A betting exchange is a website that enables punters to offer and request back and lay prices directly with other punters, instead of via a bookmaker. The maximum amount that a bookmaker allows punters to bet on an event. A betting market is a specific type or category of bet on a particular event. Bookmakers typically offer multiple betting markets on each event. A betting slip is a paper or electronic form that records the bets you place, the bet amounts and the odds for the bets. A group of individuals who pool their money for betting purposes. Tax on a bookmaker's turnover. In the UK, it takes the form of a duty payable to Customs and Excise for each pound that's wagered. The US term for someone who places a bet. The more common UK term is punter. In horse racing, a measure of a horse's performance, as listed in The Daily Racing Form. The claim is that it measures how fast a horse actually ran, rather than just its final time. In horse racing, a term that describes the lead position. It's derived from the name of a trainer who used to advise jockeys to take the lead early on. A horse that a punter predicts will be thoroughly beaten - or sunk, like the German World War II battleship of the same name. A rubber or metal bar attached to a bridle and fitting in a horse's mouth. It's used to help control the horse. In horse racing, a finish in which multiple horses are very close together. In horse racing, a bet made by a bookmaker to divert bookmakers' attention away from significant betting on another horse. The goal is to prevent odds on the other horse from being shortened. Also sometimes called blinders, leather or plastic devices attached to the bridle of a horse harness to restrict a horse's field of vision, to prevent it from being distracted. In horse racing, a win by a longshot or a loss by a heavy favourite. A longshot; a selection with high odds. 1. A bookmaker's record of the amounts bet on each selection for an event and of the applicable odds for those bets. 2. The mares bred to a stallion in a specific year. The profit margin for a bookmaker in a particular market. A bookmaker is an individual or company that creates odds and accepts bets from the public. Also referred to as a bookie or sportsbook. A bore draw special is an offer by a bookmaker to refund the stakes on certain losing bets if no goal is scored during a match. A slang term for odds of 2/1. An unusually weak performance immediately after an unusually strong one. A term used for the start of a race. A punter who bets a large sum on a short-priced favourite. Abbreviated as BHA, the regulatory authority for horse racing in Britain. It was formed in 2007 through a merger between the British Horseracing Board (BHB) and the Horseracing Regulatory Authority (HRA). Slang for an apprentice jockey. Term describing a small racetrack with sharp turns. A National Hunt race with no hurdles or fences. Slang for odds of 100 to 30. Also known as a Super Yankee, a Canadian bet consists of ten doubles, ten trebles, five fourfolds and an accumulator. A minimum of two selections must win for the bet to yield a return. A slang term for odds of 3/1. Abbreviation for Course and Distance. UK slang for £100 GBP. A punter who most often bets on the favourite. A term for betting wildly in the hopes of recovering losses. French for chiefs of racing, a term that describes certain influential sires. A horse's Dosage Index depends on the presence of any of these horses in the last four generations of its lineage. The extension of the backstretch or homestretch where 7- and 10-furlong races typically start. An event for which bookmakers reduce normal wagering limits or limit betting, due to factors - like injuries or unpredictable weather - that make the outcome highly uncertain. A horse race in which the runners are for sale. Claims are made before the race is run. A ranking for horse races. In the UK, there are six classes of races, numbered from 1 to 6. Class 1 races are the most prestigious, with the best horses and the most money on offer. Term used to refer to traditionally significant races or race features. The official who checks that all jockeys weigh in correctly at the end of a horse race. A horse that performs best in the final stages of a race. Also known as the final line, the betting line before a bookmaker sets, or fixes, the odds for an event. On a racetrack, the turn after the finish line. Another term for joint favourite - a selection that shares the lowest odds with one or more other selections. An ungelded male horse (one that hasn't been castrated) that's four years old or younger. A combination forecast bet is a combination of bets on three horses that will pay out if two of the selected horses finish in the top two positions in a race in any order. Combination tricast betting is offered on horse and greyhound racing. A combination tricast bet predicts which entries in a race will finish in the top three in any order. This is a lower risk betting option than straight tricast betting, which requires you to also predict the finishing order in the top three. In horse racing, a double payoff for the winner of the first race if there's a late scratch, or cancellation, in the second race. A correct score bet is a bet on the exact score of a match at the end of normal time. Abbreviated as CD, a sign that a horse has won in the past over the same distance on the same course. In spread betting, a phrase that means beating the spread by the required number of points. A bet that's accepted without a cash deposit. A description of a racetrack condition characterised by a loose surface. Abbreviated as LGS, a bet on which player will score the final goal in a match. A bet that something won't happen. See lay betting for more information. Lay betting is betting that something won't happen. For example, you may bet that a team won't win a match or that a horse won't place in a flat race. Laying the favourite involves betting that the favourite in a race or competition won't win. A measurement of the distance between horses, roughly equivalent to the length of a horse. The number of lengths between horses is sometimes used to determine payouts on money back betting specials from bookies. In betting, increasing the odds on a particular selection or outcome. Abbreviated as LSP, the value of the profit that would have been made if each stake were worth one unit. The current odds for an event. Live betting is betting that occurs while sports events are being played. It's also known as in-play betting. US term for a near-certain winner. An outsider with long odds, considered unlikely to win. A Lucky 15 is a wager on four selections, consisting of 15 bets - four singles, six doubles, four trebles and a fourfold accumulator. If only one selection wins, returns are paid to double the odds. A Lucky 31 bet is a wager on five selections, consisting of 31 bets - five singles, 10 doubles, 10 trebles, five fourfold accumulators and a fivefold accumulator. One selection has to win for a return. A Lucky 63 bet is a wager on six selections, consisting of 63 separate bets - six singles, 15 doubles, 20 trebles, 15 fourfolds, six fivefolds and a sixfold accumulator. One selection has to win for a return. A horse that hasn't yet won a race. An event for horses that haven't yet won a race. A female horse that's five or more years old. A call that a bookmaker makes to a punter for cash to cover some or all of the punter's potential loss. In the context of betting, a specific type of bet offered on a particular event. Bookmakers typically offer multiple betting markets on each event. A betting strategy reliant on an unlimited bankroll that involves increasing the stake on a new bet each time a bet loses, with the intention of eventually recovering the lost money and earning a profit. Match betting is betting that one of only two competitors will win a match, tournament or race. Mobile betting is betting via a mobile device, such as a smartphone or tablet. A type of bet for which the bookmaker agrees to refund a bettor's stake, in the form of a cash refund or free bet, if a specified event occurs. Money back bets were first introduced by Irish bookmaker Paddy Power but are now offered by several major bookmakers. A money-back special is an offer by a bookmaker to refund the stake you place on a bet if the bet doesn’t win but a specified outcome occurs. Moneyline odds are the preferred odds format in the United States, also sometimes called American odds. Slang commonly used by UK bookmakers for £500. The starting odds for an event. The line serves as a prediction of what the final odds will be. A multiple bet wagers a single stake on two or more selections. Each selection must be made in a different event or betting market, and all selections are required to win in order for the bet to pay out. Multiple horses that form one betting interest. A designation for certain significant stakes races for three-year-old fillies. An example is the Epsom Oaks. Odds are values that express the probability of particular outcomes occurring, in relation to the probability that they won't occur. A term describing odds in which the potential amount you can win (over and above your stake) is greater than the amount you stake. A bookmaker or other individual who sets the odds for competitors. The term odds on describes odds in which the potential amount you can win (over and above your stake) is less than the amount you stake. 1. An event for which a bookmaker isn't accepting bets. 2. In pari-mutuel betting, a horse with odds longer than 99 to 1. A bookmaker not physically present on a racecourse or at an event. For example, off-course bookmakers may operate via telephone or the internet. A bookmaker located outside the country where the bet is being placed. Betting at locations other than the racetrack - for example via the internet. Abbreviated as OR, a value assigned to a horse based on its form. It's used to determine the weight to be carried by the horse in handicap races. In the UK, official ratings are assigned by the British Horseracing Authority. An expression meaning that a horse doesn't need riding from the jockey. A bookmaker physically present at a racecourse or event. In outright betting a bet is placed on the result of a sports tournament instead of on a single game or match in that tournament. Outright bets can be placed before or after a tournament starts. Winning bets are only paid out once the tournament has produced a winner. A competitor considered unlikely to win an event, as reflected in long (high) odds. The opposite of a favourite. A term describing a book with a negative profit margin for a bookmaker. In this situation, punters who backed every selection in the book would have returns greater than the total value of their stakes. Abbreviated as OU, a bet that the total combined points, runs, or goals of both teams in a game will be either higher or lower than a specified combined score. In football, for example, over/under goals bets are popular. An over/under goals bet is a bet on whether the total number of goals scored in a match will be higher or lower than the goal total specified in your bet. A betting situation in which the potential return is greater than the risk due to odds being inaccurately high. A horse race that's not a stakes race. A bookmaker's profit margin, which is built into the bookmaker's odds for an event. In football, a bet on whether there will be either more or less than a specified number of goals. An underdog is the opposite of a favourite; a competitor that's expected to lose. Betting on the underdog can be part of an effective betting strategy. A Union Jack is a wager on nine selections, usually marked on a three-by-three grid and consisting of eight trebles. An up-and-down bet involves placing two any-to-come (ATC) bets, involving the same two selections. If one selection wins, the original stake is placed on the second selection. If both selections win, each original stake is placed on the other selection. A bet for which a bookmaker's odds for a selection are better than the actual probability of the selection winning or placing in an event. A device used to restrict a horse's field of vision. Asian handicap betting is a popular form of football match betting that typically ‘forces’ a bet on a football game to either win or lose by adding or subtracting goals to the final score of one of the teams.